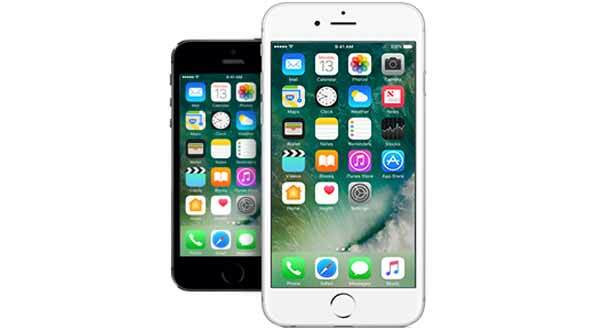 iPhone is the best device available in the market from the Apple and is loaded with different features. To make maximum out of your great device tips and tricks are quite handy. Today we have brought you the 10 hidden features of iPhone which apple don’t tell you. These tips will make your life easy with your day to day usage of your devices. If you spend a lot of your time with clients or in meetings, chances are your iPhone spends most of its time on vibrate. By selecting one of your contacts and going into them vibrate settings, you can create new vibration patterns for specific people or groups. It’s an easy way to filter out calls that you know you can return later, at times when your attention is at a premium. Ever wish your phone had a “do not disturb” setting? Well, it does. Head to the Do Not Disturb menu in the Control Center, and you can choose which contacts get your DND, and which won’t. You can also choose to accept repeated calls—so if it’s a true emergency, your caller will ultimately get through. Create your own custom vibration pattern. You can tap out your own vibration pattern to customize it for certain contacts or for types of notifications. Just go to Settings>Sounds>Ringtones>Vibration>Create New Vibration and use your finger to tap out the pattern. If you're in a crowded restaurant and waiting on an important call, you could easily miss your ringtone or vibration. Take it up a notch by enabling the camera's LED for notifications through Settings>General>Accessibility. Shake it to undo mistake-filled typing. Just like an Etch-A-Sketch (for those of you who remember such things), you can just shake your phone to start over fresh when you make mistakes. Make your phone run faster by clearing the cache. If clearing the RAM didn't help much, try clearing the cache. In any of the App Store, Podcasts, Music, Game Center, and Phone apps, tap any single icon along the bottom 10 times to clear the cache. Check timestamps for text messages. Isn't it annoying how your conversations seem to float free in time, without any relation to reality? Well, the time stamps for messages are actually there; they're just off the screen. Drag your thumb to the left to reveal the time stamps of each message. Provide critical medical information in case of emergency. You always knew your phone was a lifesaver, but now it literally could be. You don't necessarily want to rely on your phone to cough up important information when your life is on the line, but it's another helpful tool. Fill out the form under the Health app with as little or as much detail as you like; remember, this information is available without unlocking your phone, so only put in info that you're comfortable sharing.